We offer unparalleled excellence and creativity. 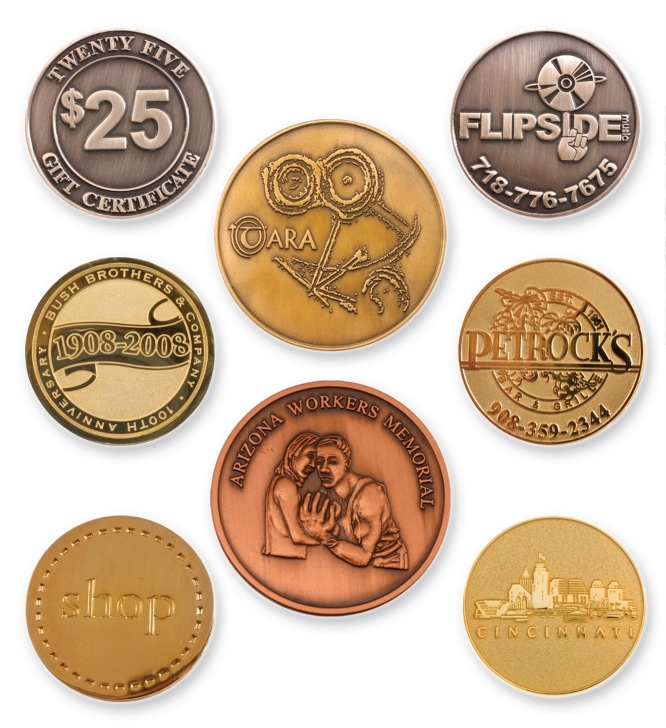 Custom designed die struck brass coins offer our finest quality. They are an impressive way to increase sales while showcasing your logo. Corporations, organizations and government agencies can create their own unique collectors piece. Coins come in various sizes, plating, finishes and thickness. - Plating included: 24 kt Gold, Nickel, Bronze, Copper, Antique copper. Our customized products include; lapel pins, coins, medallions, key chains, PVC products, dog tags, emblems, patches, money clips, zipper pulls, bookmarks, tie bars, cuff links, magnets, spinners AND endless customized metal and PVC products!